Traveler's Lounge « Life is a journey, not a destination. This week’s theme is WRONG. This is by far the most interesting assignment by the Daily Post. 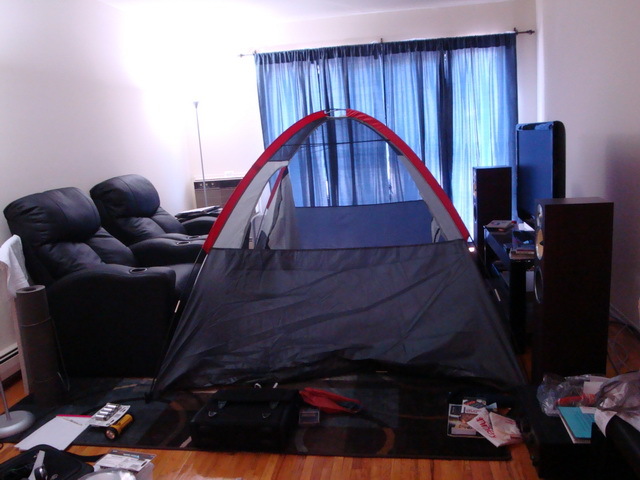 What’s wrong with camping right in the comfort of your air-conditioned living room, anyway? The 75th Warren County Farmers’ Fair in Phillipsburg, NJ, has concluded last Saturday. There were all kinds of fun-filled activities from tractor pull, demolition derby to corn eating contest. But I admit that I was there mainly for the balloon festival. This post also serves as my entry to the Weekly Photo Challenge: Growth, Jakesprinter’s Sunday Post: Splendid, as well as the new monthly challenge by Marianne, CBBH Photo Challenge: Looking Up. Now call me GREEDY! A lifetime of memories begins on this day. This is my first entry to island traveler’s Weekly Image Of Life. The theme for this week is ‘A Lifetime of Memories‘. During our recent New England camping trip, we stumbled upon these two charming New England towns by chance. A charming historic town, named by the English colonists after Stockbridge in Hampshire, England. This historic Red Lion Inn was established in 1773, even before the birth of the nation. The theme for this week’s WordPress Photo Challenge is ‘purple‘. Purple is a very rare color in nature. The first thing that came to my mind was lavender! But then again, I’ve never been to a lavender field in bloom. So I thought I would be desperate this time and not participate this week. Lotus is a sacred flower in Hinduism and Buddhism, symbolizing purity and enlightenment. Whereas the ancient Egyptians associated lotus with rebirth, the Sun and creation. While chilling out with my Sunday’s creation, Bloody Sunday Sparkling Guava Nectar, I skimmed through Wager with the Wind: the Don Sheldon Story that my husband bought me and insisted that I read. It’s the story of Alaska’s legendary bush pilot, Don Sheldon, who pioneered glacier landings around Mt. McKinley and was based out of Talkeetna. Yes, it’s hot. So I searched through the fridge for something refreshing. I found lemon. (Nah, lemonade is a bit boring.) What about Goya Guava Nectar? Well, it’s too sweet. What else did I have? V8 and San Pellegrino. Now…I have to admit that I’m not a big fan of vegetable juice and sparkling mineral water. What else did I have in order to make a nice cool drink? Creativity, I guess. By itself, I don’t fancy each of these drinks. But combined together, they make a bloody perfect summer drink for a warm Sunday afternoon. I shall call this virgin cocktail drink ‘Bloody Sunday Sparkling Guava Nectar‘. First of all, I have to offer my condolences to the victims of the Colorado theater massacre. My deepest sympathy go out to them and their families. The theme for this week’s WordPress Photo Challenge is ‘inside‘. I decided to post a couple of images ‘inside the cockpit’ as I find them interesting. Have you ever wondered what’s going on behind the cockpit when you fly? For a layman like me, I’m all CURIOUS.